This was Pope Francis' message from his homily during yesterday's morning mass, which he celebrated at Casa Santa Marta. He reflected on three realities. Death is a fact, death is an inheritance and death is a memory. “We, are men and women, on a journey in time,” the Pope said, “time, that begins, and time that ends.” Inspired by the reading from the First Book of Kings on the death of David, the Pope invited everyone to pray and ask for the grace for a sense of time so as not to be imprisoned by the present moment, and closed into oneself. “Death”, he reminded those in attendance, “is a fact that affects everyone. For some it comes sooner and for others later. But it comes.” “What would be my legacy if God were to call me today? What legacy would I leave as a testimony of my life?. It’s a good question to ask ourselves, because each one of us, must all go down that path." On Wednesday, Jan 31, Fordham University hosted two prominent Pope watchers, each acquiring opposite views of his Papacy, to debate the Pope's legacy five years after the his election. The event was sold out, however, Salt+Light was able to provide viewers with live coverage of the event. During the debate, Dr. Massimo Faggioli, a professor of theology at Villanova University, sparred with New York Times Columnist, Ross Douthat, on the core issues surrounding the current papacy and a review of his past five years. Our team on the ground, had a chance to catch up with both debaters, where they shared, their personal comments about the event. Now, you can still catch watch the entire debate on our website listed here. That is all that we have time for this week. 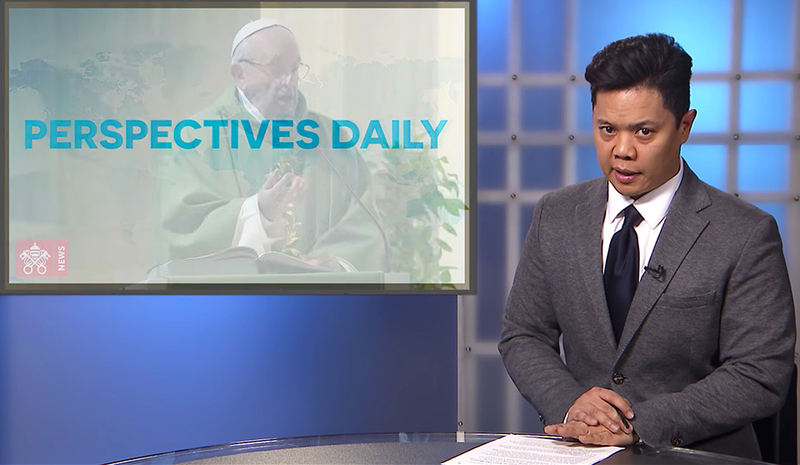 Join us again on Monday, when I bring you more news and stories from the Perspectives of a Catholic Lens. Thanks for joining us.